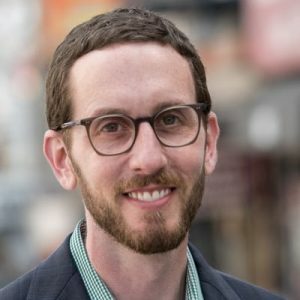 Could Scott Wiener really be West Hollywood’s state senator? The San Francisco Democrat, who represents that city in the state Senate, is gay, as are 40% of West Hollywood’s residents. But that isn’t what matters. What matters is that he’s the continuing force behind two pieces of legislation that could have a major impact on West Hollywood, in a good way. As the San Francisco Chronicle has reported, Wiener is re-introducing, for the third time, a bill that would allow West Hollywood and eight other California cities to extend their bar serving times until 4 a.m. The Let Our Communities Adjust Late Night Act (LOCAL) passed last year but was vetoed by Gov. Jerry Brown, whose successor, Gavin Newsom, might not agree with Brown’s assessment that LOCAL would “add two more hours of mayhem” by increasing drunk driving. Local bar owners, and the West Hollywood City Council, have endorsed the 4 a.m. limit, arguing that it will increase business in a city whose economy is built on tourism and entertainment. Given that Newsom is the founder of a winery, Wiener’s new SB 905 might have a chance. But perhaps more important to our city is Wiener’s approach to the affordable housing crisis, an issue where the NIMBY’s dominate in increasingly gentrified West Hollywood (soon home to three expensive private clubs but not yet to a center for the homeless). Wiener will be reintroducing a modified version of a previous bill, SB 827, which didn’t make it out of the Transportation and Housing Committee last year. SB 827 would have overridden local rules on height, density and parking for residential projects near transit hubs and/or so-called “high-quality” bus lines. In doing so, SB 827 would have permitted construction of four- to five-story apartment buildings near train or subway transit hubs (which West Hollywood doesn’t have) and higher density projects within a quarter mile of bus routes that offer stops no fewer than 15 minutes apart during rush hours (of which we have plenty.) And it would have let developers of projects within a quarter mile of those bus lines (effectively all of West Hollywood) ignore the city’s onerous parking space requirements. Wiener’s initial bill, SB 827, was strongly criticized by nearly everyone. The Los Angeles City Council and the Beverly Hills City Council took stands against it, as did our council members John D’Amico and Lauren Meister, who outlined their opposition in an op-ed on WEHOville. Some activists in low-income communities in Greater Los Angeles also opposed it, arguing that it would lead to more construction of expensive apartments in their neighborhoods, pushing out low-income residents. They also complained that it didn’t require developers to include affordable housing in a project. Wiener said he listened to the objections. His new bill, SB 50, would require developers to meet a city’s standards for including affordable housing in a project (in West Hollywood that means 20% of all units in a building of 10 or more units must be rented at “affordable” rates). In cities that don’t have such requirements, developers would have to follow similar state standards. Developers would not be able to apply the benefits of SB 50 to rental properties occupied by tenants within the previous seven years or whose owners have evicted tenants under the Ellis Act. The new bill would give low-income communities faced with a high risk of gentrification or displacement of current residents time to develop plans for more affordable housing before they are governed by SB 50. The new bill would still have a major impact on West Hollywood, one that some will see as negative but actually is quite positive when it comes to increasing the availability of housing and thus reducing housing costs. SB 50 would require denser development in more affluent and “job-rich” communities, whether or not they have subway or rail stations, and it would allow developers in “transit rich” neighborhoods to get a waiver from height limits if they meet certain requirements for affordable housing, which haven’t yet been specified. Such projects also wouldn’t be required to meet West Hollywood’s parking requirements, which effectively encourage the use of cars, an environmentally bad habit in a city that claims a clean environment matters, has been designated one of the most walkable in America and offers its residents free shuttles and easy access to Metro buses. It’s true that SB 50, if passed and signed by Gov. Gavin Newsom, will rob the West Hollywood City Council of some of its power to govern the development of our city. But when you don’t use that power to encourage the development of more housing – ultimately the only way to bring housing costs down – you have only yourself to blame. Click here to subscribe and get news updates each morning. Virtually all of West Hollywood is within a quarter-mile of qualifying bus routes under the proposed legislation, which means we would lose local control over our own planning and zoning. We already have a state law that gives developers density bonuses for including a certain number of affordable units, and the resultant buildings are destroying the quality of our neighborhoods by decreasing the depth of setbacks, pushing building fronts closer to sidewalks and eliminating green space, and by being taller blocking light to neighboring apartments. Moreover, by lessening the amount of required on-site parking spaces, our streets are more congested — it’s a fiction to say that bus lines will attract more riders when the buses are undependable and slow. And then there is the way the city figures a new building’s impact on traffic, almost never finding it to be significant because the formula it uses to calculate impact is rigged so that the result favors developers. The proposed legislation doesn’t address the ability of local infrastructure to support the addition of hundreds more living units. Our water system, in particular, is aging. Questions as to whether it can handle the increased demand must be answered. Also, will our emergency services, police and fire specifically, be beefed up to serve a larger local population? While it makes sense to increase density within walking distance of subway and light rail stations, none is planned in the foreseeable future for West Hollywood. Until one is, we should not create density without knowing where real rapid transit actually will be able to serve our community. Otherwise we’ll wind up with overcrowded, unappealing neighborhoods and streets that don’t encourage people to use public transportation. I’d favor a bill that would encourage landlords to preserve and upgrade existing housing stock. We know from experience that new buildings are rented at rates that those who are displaced for new construction can never afford. We shouldn’t sacrifice the homes and well-being of longtime West Hollywood residents for the benefit of a handful of developers. When the Senator can listen and apply all the comments to create a better bill, he has bill that is progressive and fits the needs of West Hollywood’s affordable housing. West Hollywood needs to pass any so-called goal for affordable housing. We were founded as an affordable housing city for seniors, LGBTQ,..It is the cornerstone of our City. SB50 will enshrine this into our affordable housing stock and foundational uniqueness and individuality. Where are all the people coming from that we need all this new housing? It isn’t as if the population rate is booming. I would also love to see a report with facts, figures, and statistics that shows the impact of new development on rental rates. We’ve already built many new developments and rents are still sky-high. It is also a tragedy that the once beautiful area with an emphasis on outdoor living that many of us moved to is being forcibly turned into the kind of cities we all fled from. These are the kind of high-minded ideas that may sound good on paper, but wind up having unforeseen negative impacts that destroys entire communities and people’s way of life. This guy is reckless and never gets it right. I have no confidence that his most recent consultation with lobbyists will be of any benefit to the communities he has leeched onto. He is a friend of D’Amico. Need anyone say more? Mr. Schnidt, your vile, ugly attacks on Corri Planck disqualify you from weighing in on any matter affecting our city. End your campaign. Or wait till March to let voters do it for you. I don’t know about density and height limitations, all I know is there is WAY too much construction in West Hollywood. I don’t mean on the Strip or Santa Monica….build away! But the residential areas….how many more single family homes can you tear down to make room for monstrous condo/apartment buildings with ONE affordable housing unit. Sweetzer Avenue is a major construction zone, not to mention countless other formerly quiet streets in WeHo. How can these buildings be expected to be filled? How many people can afford the rents here? My guess is that most of them will become illegal AirBNB rentals that the city does absolutely nothing about, further decreasing the stock of affordable housing. The developers just fill the coffers of the city council, effectively buying their endorsement, and then just laugh at the council as they illegally collect their short term rental money. Unfortunately, the joke is on us residents. you are incorrect about that. SB 50 requires a high % (say 13-23%) of the units in a project be inclusionary (i.e., affordable housing), which by definition cannot be vacation rentals. So, w/ SB 50 we are guaranteed to increase our affordable housing stock, which cities cannot afford to do, so as a fair incentive private investors to take the risk with their money, they have to get enough market rate housing in the project to make it possible to provide the below market rate housing. SB 50 strikes that needed delicate balance b/c cities are broke and cannot afford to buy land and enough build large scale affordable housing to move the needle. You need developers and speculators to do that. Somebody has to pay the subsidized housing, so if not the government (socialism/communism), private capital has to still make a profit (aka capitalism). So, if they put of their risk capital to build lots of affordable units, which the cities cannot afford to do, who cares if those luxury units (affordable to most renters any-how) are rented out as vacation rentals? Even if that happened, which I seriously doubt would occur at high rates,, that would reduce hotel prices and make it much cheaper for tourist to visit, which would greatly boost city tax revenues, which extra money could be earmarked to help the homeless or affordable housing, etc. And if even market rate/luxury units are blocked from construction then those people demanding it (or landlords) will buy/renovated those lousy apartments that are cheap now turning them into luxury units, further driving up prices for the remaining affordable units on the market. If SB 50 is killed by the NIMBYs again then you can all but guarantee that the only new housing created will be market rate and luxury, and not much of that either b/c cities block it too, which makes the prices shoot up higher. Senator Weiner is showing himself to be a proactive and hands-on progressive, this is the kind of government representation I want to continue to see in California. Adaptation and evolution to suit the changing needs and interests of the state’s population is something I will always support. I hope SB 50 is successful as well as the tireless attempt to pass more realistic hours of service in this very diverse and populous state, which is lagging behind other states in this regard. Sen. Wiener lost me with the 4am nonsense. I’m from the school of thought where anything that happens after 2am is trouble. (Or however that saying goes 🙂 Absolutely unnecessary in WEHO. Once you start negotiating with developers and giving them another opportunity to tear down a building – they will. Another idea that doesn’t quite work for our community. This guy has ideas alright…. all of which need to be developed further instead of brought to vote again. Even without State density bonuses WeHo already permits 4 story buildings in large swaths of our City and 5 or more for mixed use buildings. Where you see opposition to new construction in residential areas is when older, rent controlled buildings are being demolished to make way for luxury housing. We need to preserve our stock of affordable rent controlled housing and much of what comes out of Sacramento dressed up as “reform” is simply pandering to developers and puts rent controlled housing in danger. Even though West Hollywood does a great job to force developers to include affordable inclusionary housing, somehow it seems like we have lost more affordable units than we have gained even after seeing a decade of growth. None the less, the Senator should be commended for addressing California’s housing crisis and forcing other jurisdictions who are not as good as West Hollywood to do their fair share. Yes, Senator Weiner did listen to us and many others and SB 50 is shaping up to be a much better bill. More affordable housing, more protections for existing renters/ rent controlled housing, more flexibility for cities that have been reaching their affordable housing goals (like weho) and more connection to community. Hi John – Are Single family R-1 zoned neighborhoods exempt/protected in the revision? Also want to know if R-1 Zoned neighborhoods are exempt? no single family zones are exempt in the current draft of SB 50 text. BTW, it would not make sense to do so, given 70% of CA cities are zoned single family (lowest density) and are exactly the most part of what has caused the housing crisis. © 2019 WHMC LLC - All rights reserved.